A curriculum development project for high school and undergraduate students that uses real-time environmental date to teach about lake systems. 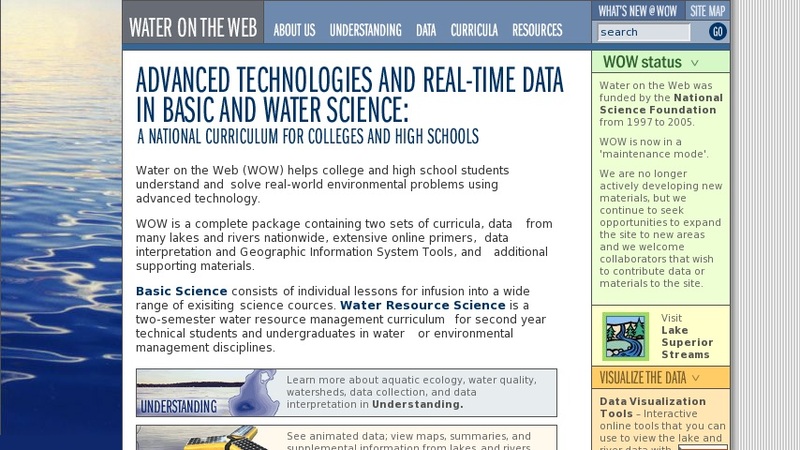 WOW is a complete package containing two sets of curricula, basic science and water science. Also includes real time data from many lakes and rivers nationwide, extensive online primers, data interpretation and Geographic Information System Tools, and additional supporting materials. Site is a wealth of information, data, and resources.